You are going to Watch Naruto Shippuden Episode 261 English subbed online free episodes with HQ / high quality. Stream Anime Naruto Shippuden Episode 261 Online English sub For My Friend.Kabuto mobilizes his undead army and Tobi mobilizes his 100,000 White Zetsus underground. 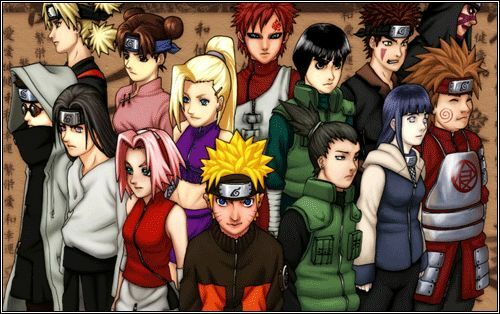 Anko Mitarashi tells her teammates to leave her and relay the intel to the Allied Shinobi Forces. However, she is attacked by Kabuto who manages to incapacitate her. Meanwhile at the Hidden Cloud Village, ninjas from different villages started arguing each other. Gaara starts his speech, telling that despite the pain and hatred he had it was Naruto who changed him and accepted him as a friend. He also states that they will stand as one shinobi, protecting Naruto from Akatsuki. The argument stops, ninjas start forgiving each other and everyone praise Gaara. After the speech, the Allied Shinobi Forces now mobilize towards the enemy.